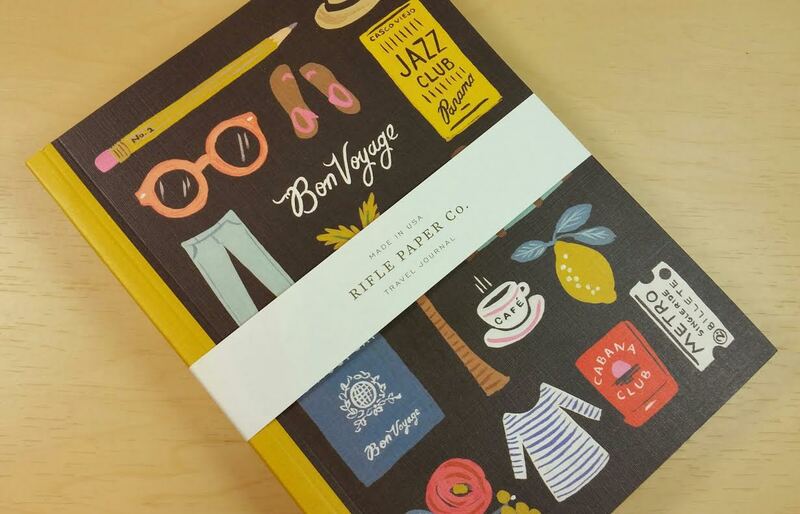 Rifle Paper Co. Travel Journal- This is a super cute travel journal where you can write all about everything you do while travelling. I'm not sure if I would have used this in Vegas (I just got back yesterday) because I was basically falling into bed at night and while we met fun people, I probably was in no mood to write about that terrible steak at The Capital Grille or the bugs I found in my cup at the pool. Inside are lined pages with spaces for the date at the top. 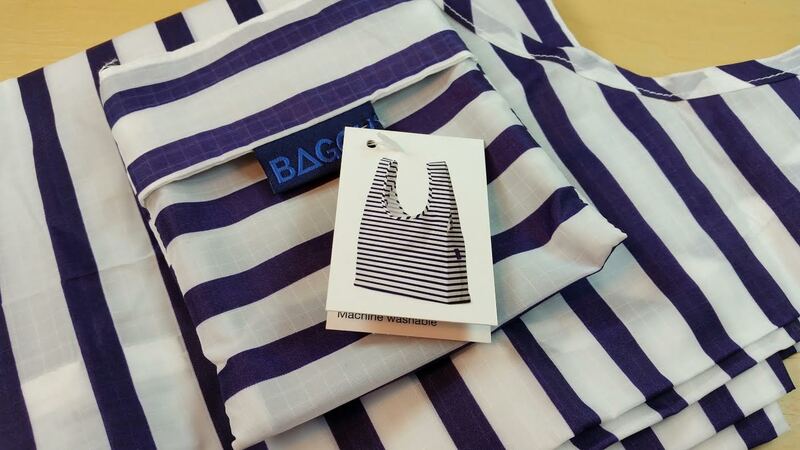 Standard Baggu Bag- I just received my first Baggu bag in my Kloverbox and I used it on my trip to Las Vegas. It worked perfectly and held far more than I was expecting. This is a totally different style and I'm loving it. Not only is it perfect for groceries, it's also perfect for beach days, toting an change of clothes or all the dog related accouterments I need to go places with them.These are made with rip-stop nylon and scrunch up really small, too, so you can stuff them anywhere. I love the stripes and its not something I'm going to lose sight of in a hurry. Hah! Another bonus? Machine washable. Yessss. 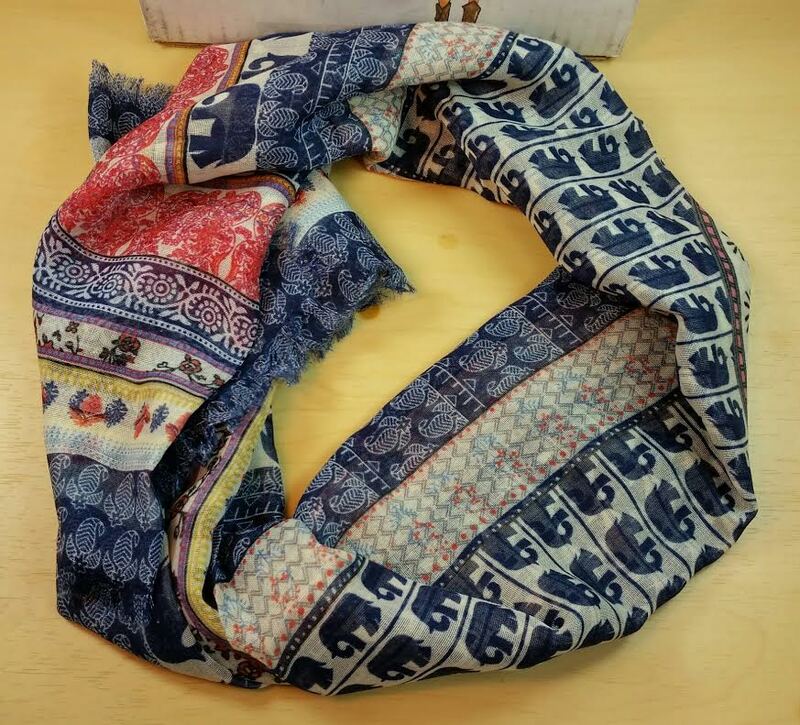 David and Young Elephant Paisley Scarf- So when I was younger, I hated paisley. I mean, I did grow up in the 80's and you know there was paisley everywhere. And it was for old ladies. Or at least they were old to me at my tender young age. My grandma bought me a paisley jean jacket (because jean jackets were THE thing in junior high) and I despised it for those paisleys. I never wore it even though I probably would have been automatically cool. Still, my paisley hate has lessened over the years by a lot. And while I don't actually own anything with paisley (or at least I didn't until now), I'm much more accepting of the pattern now. Maybe it's because I'm old now. Hm. And this has elephants. I think I might like elephants. Sunglasses and Case- Forgive the dust and reflections! 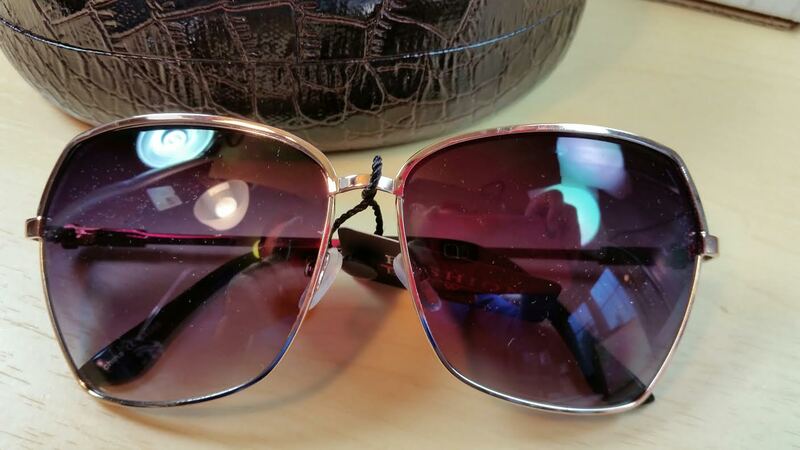 You may not know this but people in Seattle buy more sunglasses than people in Florida. This surprises you, doesn't it? Well, it's because people in Seattle go so long between sunny days that they lose their sunglasses practically right after they buy them. People in Florida need theirs every day so they always know where they last put them because they were just using them. So, I'm happy to see these super cute sunglasses! I love this style and color and the case is pretty nice, too. I never have a problem with cheap sunglasses either. Because, you know, they get lost so often it's better not to buy a nice pair around here. Not that these feel cheap, they're sturdy and they came with a lens cloth, too! I do have a special Marc Jacobs pair and I'm always terrified I'm going to misplace them. One Love Organics Easy Does It Cleansing Foam- This is an all-in-one product. With a unique combination of organic Chilean soap bark, cold-pressed apple oil and vegetable glycerin, Easy Does It lathers into a soothing, non-drying foam that cleans, softens and helps to protect face, body and hair. One Love Organics Cleansing Sponge-This sponge is made with 100-percent pure konjac plant fiber, prized for its ability to detoxify pores and smooth skin while buffing away dirt and makeup. Soft yet exfoliating, The Cleansing Sponge is ideal for everyday use on even the most sensitive skin. It's actually really interesting because it starts out hard as a rock but once you get it soaking wet, it's super soft. It is a sponge so it has little holes which I think aid in exfoliation just by dint of having an uneven exterior but it's SO soft. You do need to hang it up to dry in order to keep it sanitary but other than that, it's really fun to use. 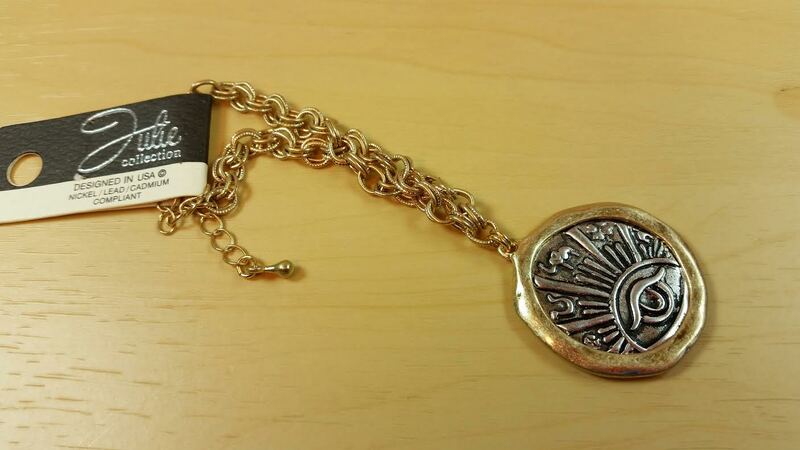 Julie Collection Karmas Reversible Good Luck Coin Bracelet- I think this is the only thing in the box that I don't really like. It's a bonus, too! Maybe if it was a necklace instead of a bracelet, I would like it better. It's not hideous or anything, I just find charm bracelets to be unweildy especially with a charm this size. It's bigger than a quarter. VERDICT: I cannot believe how much stuff is packed into this box. It was like there was no end to what I was pulling out. It really felt like someone had sent me an awesome present. Part of the fun was that since I had been gone, I had no idea what was in the box as I was opening it. I love the combination between practical and fun. I will absolutely use the Baggu bag for shopping, especially since they've banned bags now unless you pay for them at the grocery store. I *adore* the sunglasses! They are SO cute and I love the hard case (which I only just now realized I didn't really take a photo of) that it comes with, too. The One Love Cleanser and Sponge are fun and practical. 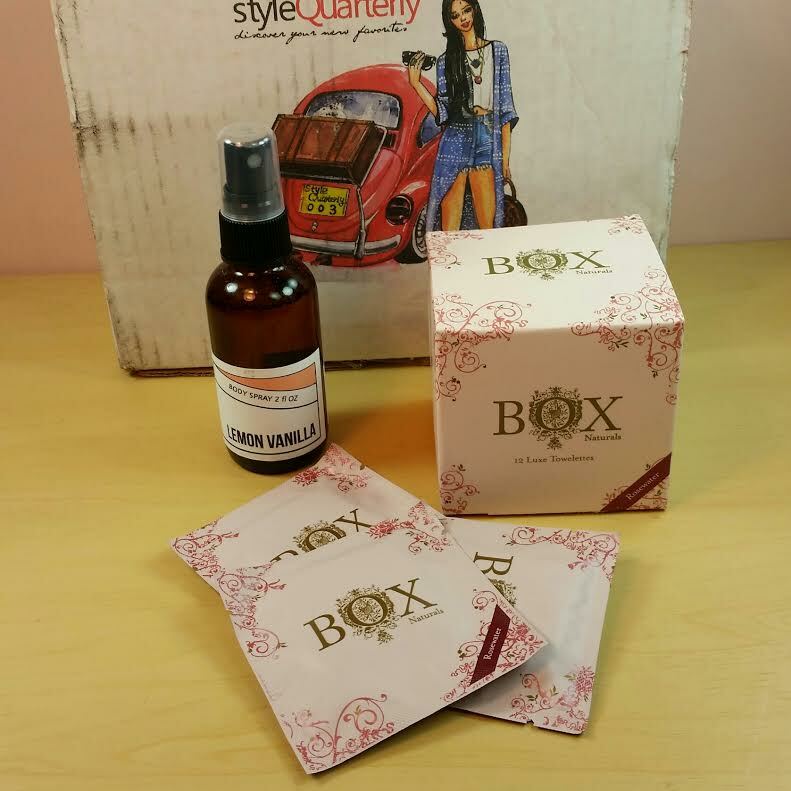 The Box Naturals might not get used for their initial purpose but they'll definitely be used and the body spray is seriously delicious smelling. I wonder if I can use it as a room freshener, too. I'll have to look at the ingredients. The scarf is cute but I haven't decided on that. I think my MIL might like it more than I would so I need to debate with myself a little over that. Seriously. LOVE this box. What great curation! I can't wait for the next one. 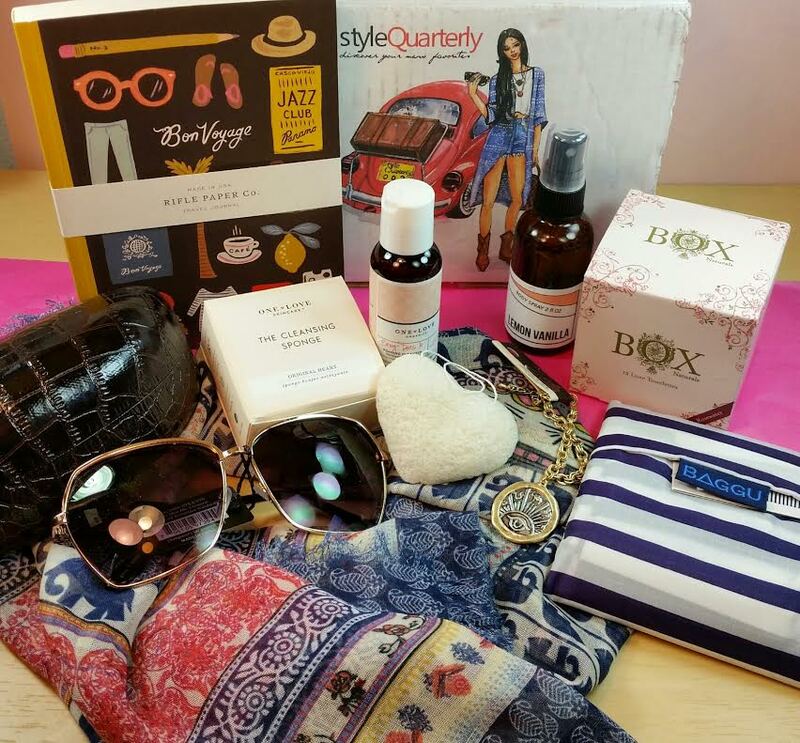 If you want to sign up for Style Quarterly, the Summer box is now on sale and the theme is "Summer Nights"! I'm excited about that theme and I'm totally sticking around for it. 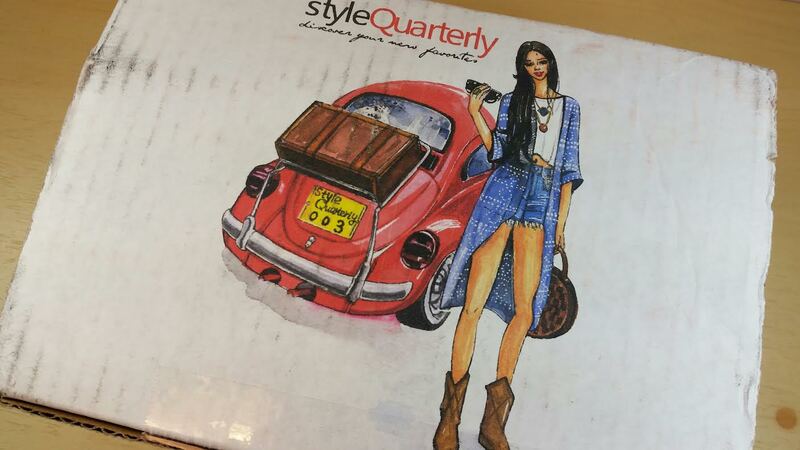 Sign up at www.stylequarterly.co! Use code bits10 to get 10% off your first box! HAHAH omgosh the ONLY thing in the box that I was like "OMG I NEED THAT" was the bracelet!!! Ugh it's so cool-looking I looove it! This looks like a great box! Seeing as it's only $10 more than a Wantable box or PopSugar, I'd say it was definitely worth the price. I might look into it when the next box rolls around! Ooh I like this box! Looks like a really good value. I love the scarf, the sunglasses, and the One Love products! I thought it was a good value, especially for me because I will use nearly all of it (and what I don't use will be gifts, which is just as good). I'm SUPER excited for the summer box because of the theme! I LOVE THIS BOX!!! Just subbed to it- hope they can send one soon!!! It would make up for the disaster that was Kloverbox ( for me, personally). It was like Goodebox or Eco- Emi with the products halved. But the price was the same, and one item was ruined. Poor Kloverbox. I love them so much but that rose toner thing was not good. I felt so bad and I did contact them about mine. Turned out it was the bottles from the bottle company and not the business owners fault at all but that still stinks for everyone. They did say that we'd be getting a different product in our next box so that's good but it's still sad. I haven't tried Eco-Emi myself because it seems to be mostly small samples but I've always felt that the eco/natural/organic boxes tend to send smaller samples anyway. I will be getting my second Bare Bliss Box soon and I'm anxious to see what they send because I do tend to compare them all. I do want to try Goodebox, though. How did you like yours?? Goodebox was really nice in 2012 or so.. Then, I got 2 boxes in two consecutive months with just FOILS. Nothing but free sample foils with no value at all. Then, empty bottles to mix up some kind of shampoo in and 2 black eyeliners one month. Am I a chemist? Do I wear black eyeliner? No and no. In other words, they either got tired, lazy, changed ownership, or lost a lot of customers and just didn't care what they sent out. I can't recommend Goodebox to anyone for any reason. I don't care if they promise the sun, moon and stars, their reputation hit the skids for a long time. If it did once, it can again. Stick with Pop Sugar Must Have. "Natural" cosmetics on the label or description doesn't mean a THING unless you have allergies. Oh, wait, it could mean you end up with contaminated products that you won't find at the mall. I am serious. I love your journal. It's so cute.